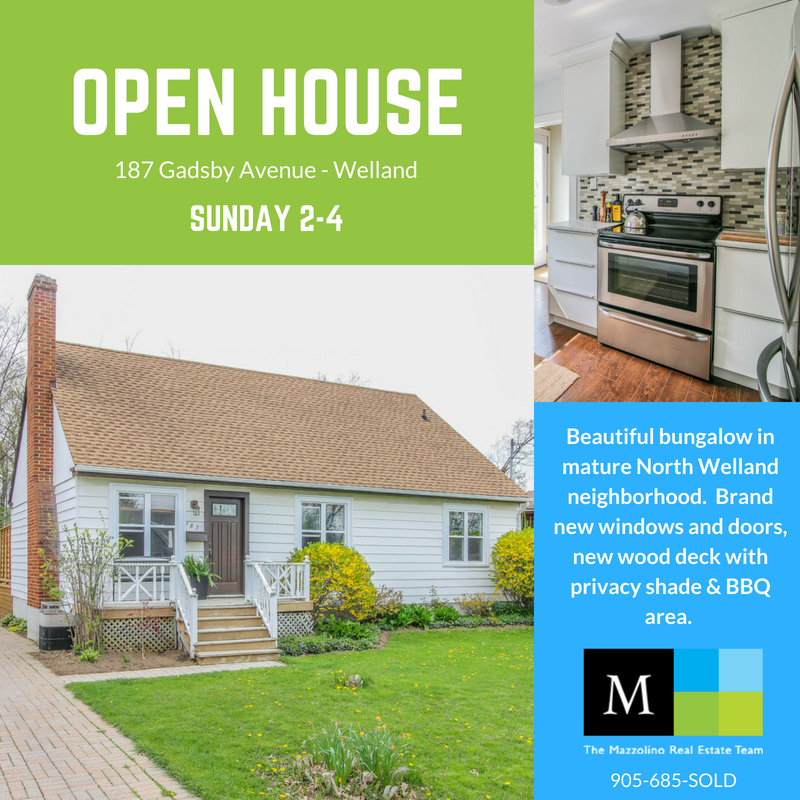 Come out this Sunday ( May 20) from 2 to 4 pm and see this beautiful 3 bedroom bungalow in mature North Welland neighborhood. The 3 bedroom bungalow sits on a 60 X 125 ft lot that backs onto a lovely and private wooded green space. The main floor has been completely renovated with a modern and contemporary kitchen, open concept floor plan, and soft neutral décor. Other features include laminate hardwood floors, brand new windows and doors, a large wood deck newly built with privacy shade, and plenty of space for seating and BBQ area. Custom blinds and a natural wood burning fireplace with built in reclaimed wood shelving, painted brick and new mat black glass doors. The kitchen features new stainless steel appliances and the bathroom has been updated with modern finishes. The roof and furnace were replaced in 2009, And the electrical panel has been updated to 100 amp. A large interlocking brick driveway can easily accommodate 4 cars. Unspoiled poured concrete basement is high and dry, ready for you to finish. Close to all amenities and minutes to Hwy #406, and nearby recreational canal .